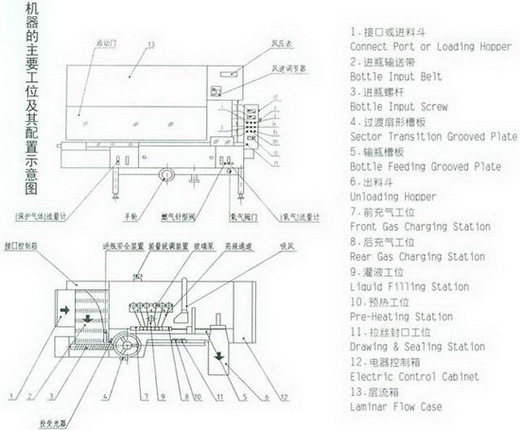 the machine stops filling automatically whenever an ampoule is absent to avoid waste of medicines. The machine is equipped with a grade 100 air-purifying device, and both the major motor and the ampoule conveyer have a stepless gear shift. It can be used singly or jointly with QCA ultrasonic ampoule-cleaning machine and SZAL 400/18 sterilizing and drying machine. The machine has the characteristics of high efficiency and quality, stable operation and easy manipulation, etc. 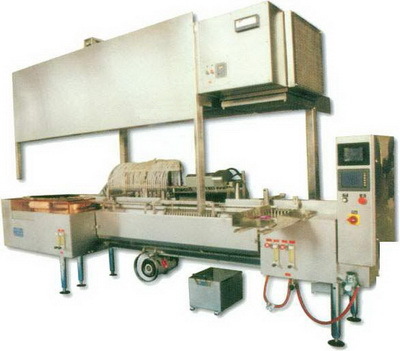 AII the materials of the machine meet the requirements of GMP codes. It only takes several hours to change a few parts if you wish to fill and seal ampoules of other specifications.